J Chachula is a professional teacher, actor, and director. He is a graduate of The American Academy of Dramatic Arts and received his Meisner training from Larry Silverberg. He studied improvisation with Transactors Improv Company and spent two years touring with the group. He currently performs with the longform improv group Third Date. J has acted in and directed productions with On The Roof, Fallen Rose, Raleigh Ensemble Players, Temple Theater, Justice Theater Project, Exit Through Eden and has performed for kids with Little Big and Raleigh Little Theatre. He has managed, directed, written and acted for the NC Museum of Natural Sciences’ Nature Fun Theatre. 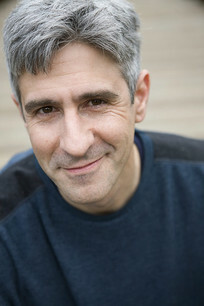 In the corporate world, he has two decades experience acting in industrial videos and using theatrical techniques, improvisation and live role-play to train employees in more effective communication. 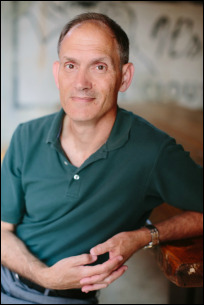 Dan Sipp has been teaching improvisational theater for over 20 years. He ran iO-South and the Worx Training Center in Raleigh for four years. He has also taught classes for Raleigh Little Theatre, The ArtsCenter in Carrboro, Duke University’s theater program and UNC's Kenan-Flagler School of Business. He’s now the Standardized Patient Trainer for Duke University School of Medicine and has recently founded the Medical Improv initiative in the Duke Healthcare System. He directs and performs with his improv group Third Date, one of the best long-form ensembles in the Triangle. Dana Marks is an actor, teacher, and director based in Durham, NC. She is a graduate of The American Repertory Theatre Institute at Harvard University. International credits: Phaedra 4.48, Rhinoceros (MXAT, Moscow); Macbeth (ETA Hoffmann Theatre, GER. ); Piluve Del Siluvio (Italy). Other credits: Highway Ulysses (Norton Award Winner), Children Of Herakles (American Repertory Theatre); Rhinoceros, Savage In Limbo, House Of Yes, A Winter’s Tale (ART IATT). She is also Managing Director of the award-winning Little Green Pig Theatrical Concern, which she runs with her husband, actor/director, Jay O’Berski. Acting credits with LGP: The Man Who Was Thursday, The Wooster Group's Diary of Anne Frank, Richie, Donald, Glass, Anarchist!, 4.48 Psychosis, Picasso's Closet, Jane Eyre, The Waves, Goin' A Buffalo, Fistful of Love, Europe Central, Streetcar Named Desire, In the Doghouse: The Execution Of Dostoyevsky, Three Sisters (On Ice!). Dana also worked with Manbites Dog Theater in Durham, NC and has been seen there in Cape Disappointment, Buddy Cop 2, Age of Arousal, an oak tree, The Fall to Earth, and Back of the Throat. Other credits: Turn Of The Screw and God of Carnage (Hot Summer Nights). Her directing credits include: Nocturne, In On It, Harriet Jacobs, The Italian Actress, Dog from Hell, My Lovely Suicides, and Faith Healer. 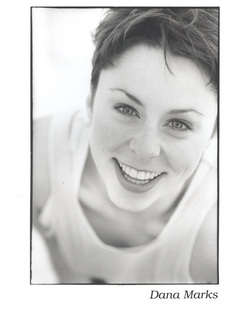 Dana teaches acting and movement at Duke University. Jerome Johnson is a thirty-year professional educator in communication and theatre arts. His instructional resume includes public speaking, interpersonal communication, acting, and storytelling. Mr. Johnson has given thousands of presentations to civic organizations, corporations, and educational institutions. ​and outs of public speaking.